Samsung Gear Fit2 Pro Fitness Band Small Red – SM-R365 price in Bahrain, Buy Samsung Gear Fit2 Pro Fitness Band Small Red – SM-R365 in Bahrain. 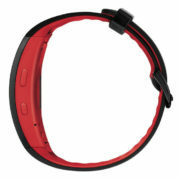 o from swimming laps to jumping in the shower. 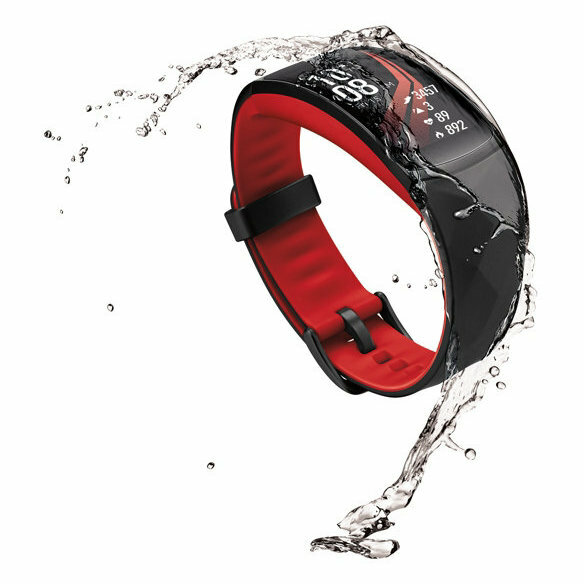 Gear Fit2 Pro is water resistant up to 5 ATM*. 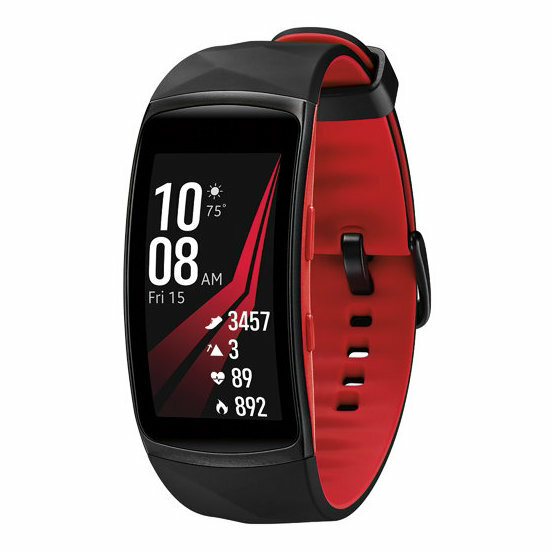 And whether you choose the pool or open water, the Speedo** app developed for Gear Fit2 Pro tracks your stats and presents them in easy-to-read summaries. 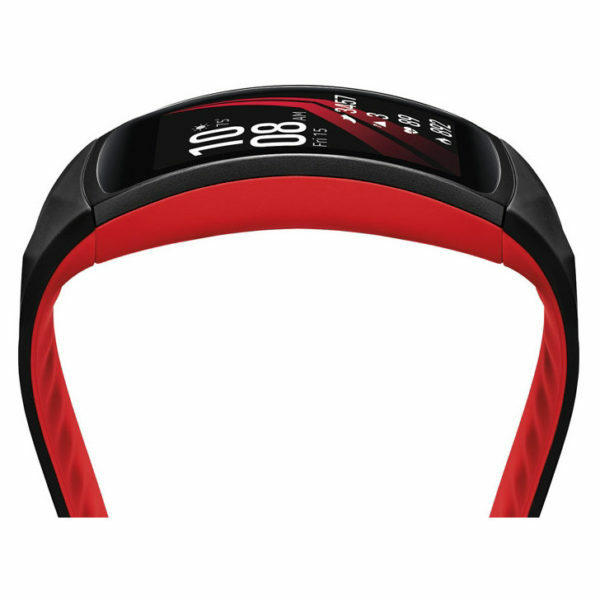 *Gear Fit2 Pro has a water resistance rating of 50 meters under the ISO standard 22810:2010. If the device or your hands are wet, they must be dried thoroughly prior to handling. 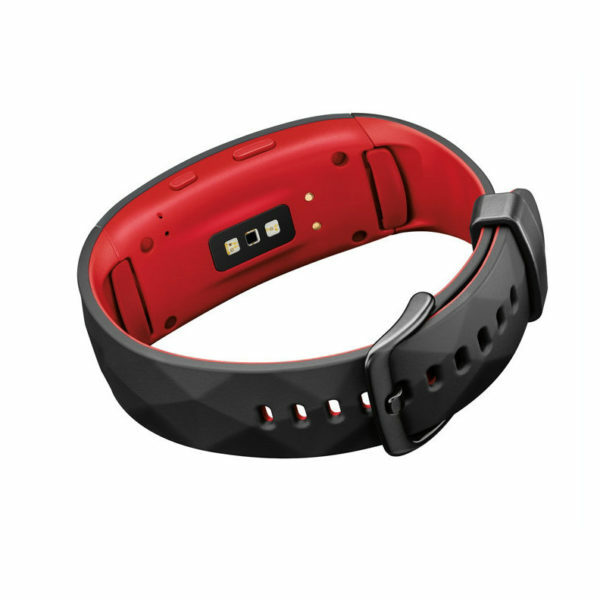 **Availability of the Speedo app for Gear Fit2 Pro varies by country and region. 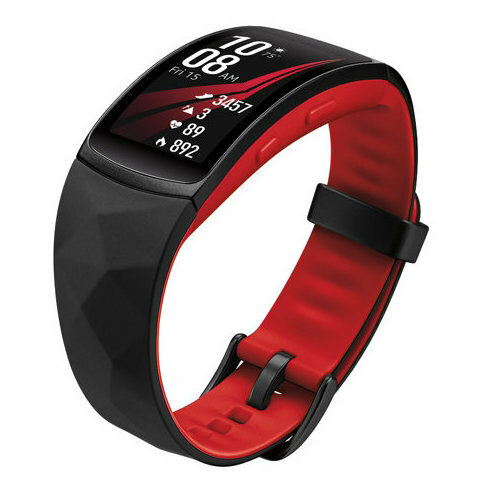 Whether they’re tennis, basketball, or even dance moves, Gear Fit2 Pro automatically detects and logs the activity. Go all black for a sleek, understated look at the gym or at work. Or kick things up a notch with a splash of red. 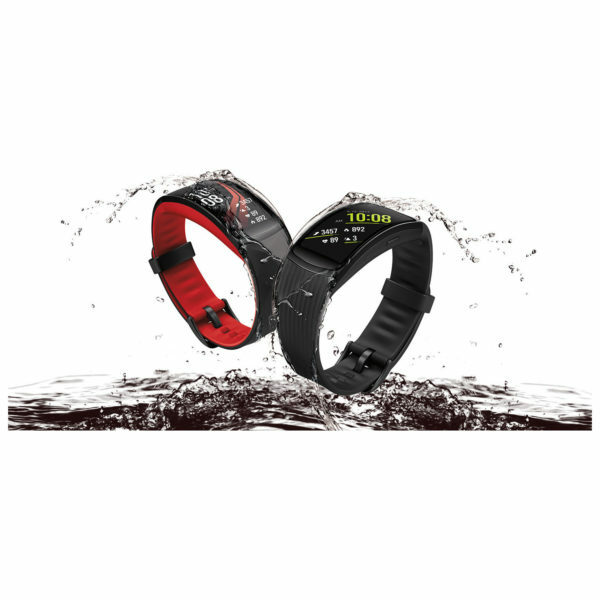 Whichever color you choose, both styles are made to fit comfortably with a clasp that ensures the Gear Fit2 Pro stays securely on whether it’s swim or gym.